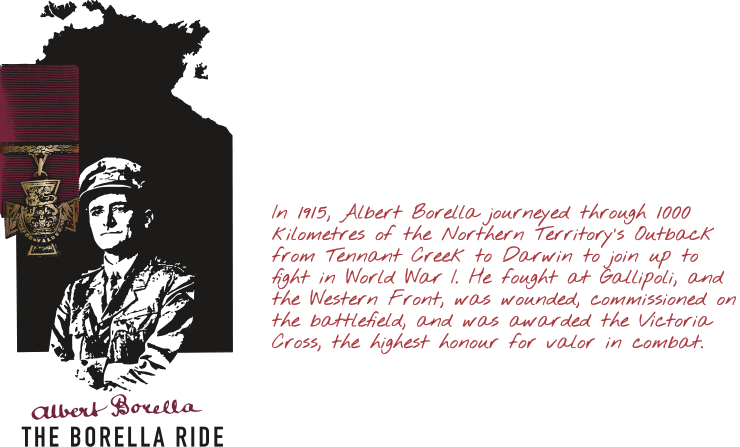 When Albert Borella VC MM reached Darwin after his 1,000 kilometre journey, he found that the government was not taking enlistments from the Northern Territory. At the time the government felt that men were needed to help with the development of the Territory, rather than join the war effort. After paying the debts he owed relating to his farm, Borella was left broke. To enlist, he needed to get to Townsville, but couldn’t afford the fare. Fortunately, he met a man named Walter Bell, who owned the Northern Territory Times and Gazette and was pro-enlistment. 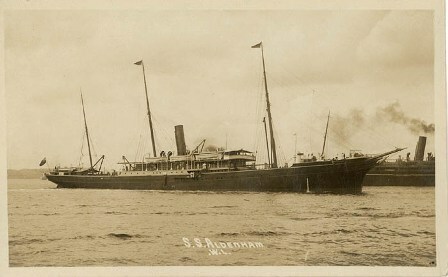 Bell was able to get Borella passage on the steamship SS Aldenham. The last glimpse Albert Borella had of the Northern Territory was on 8 March 1915, when friends and onlookers crowded to the Darwin wharf to see off the volunteers. This was still a novelty for Territorians. The newspaper at the time recorded that the crowd cheered the volunteers on the steamers when they left the wharf, singing “It’s a long way to Tipperary”. Borella arrived in Townsville and was able to enlist in the First Australian Imperial Force on 15 March 1915. Helping to reenact Borella’s final journey from the Northern Territory, was the TSMY Swordfish, owned and skippered by Viv Thistlewaite. The Swordfish participated in the Darwin ceremony on Tuesday, 3 March at Stokes Hill Wharf. The Swordfish was built in Tasmania in 1975 on commissioned by the Royal Australian Navy for the Queen’s Silver Jubilee tour of Australia in 1977, where it was used to transport the Queen and her entourage from the Britannia into Brisbane, Sydney and Melbourne. The Swordfish now operates as a fishing charter in Darwin.